Whether or not Sidney Crosby suffered another head injury during Monday night’s Game 6 in Pittsburgh remains up in the air. What’s maybe more mysterious, though, is the way that the situation was handled. During the first period, Crosby took a brutal headfirst spill into the boards and was slow to get up. He looked dazed when he finally got to his feet. Still, he finished his shift and played the rest of the game. That’s not a credit to him being “a warrior” or glorifying his ability to play through it, something that’s often done in hockey. This…this was uncomfortable. Uncomfortable to watch, uncomfortable to follow, uncomfortable to think about. 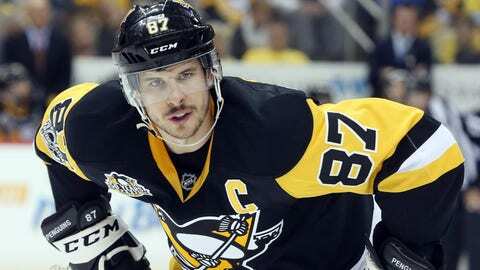 At 29 years old, Crosby is already one of the best and most accomplished hockey players of this generation. He has two Stanley Cups, a Conn Smythe, two Hart Trophies, two Art Ross trophies, two Rocket Richard trophies, six NHL All-Star nods, two Olympic gold medals and a slew of other honors. He also already has an unsettlingly long history of head injuries. That list has at least one entry from this second round series between the Penguins and Capitals. 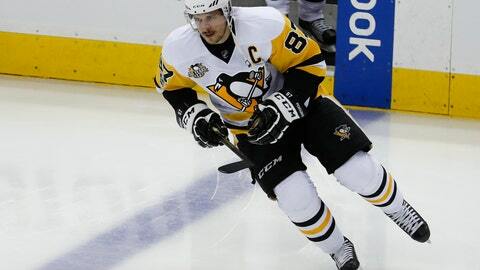 During Game 3 last week, Crosby suffered a concussion after being cross-checked in the back of the head by Washington defenseman Matt Niskanen. There’s still some debate over whether the play was dirty or not, but Niskanen escaped suspension and Crosby only missed one full game as a result of the play. He was back on the ice and in the lineup for Pittsburgh less than a week later. As you likely have gathered by now, I’m not a doctor. I’m just a guy who likes to watch hockey and write about it. With that in mind, if Crosby feels good enough to play and medical professionals feel good enough to allow him to play, it’s tough for me to argue that he should sit. Especially during the Stanley Cup Playoffs. Still, I was surprised that the concussion kept him out of commission for just a few days – especially with his history. As a fan who loves to watch Crosby play and enjoys the best quality of product on the ice every night, there were conflicting emotions. I was relieved that No. 87 was feeling good enough to play and happy that the series wouldn’t have to forge on without him. But I was also concerned that maybe he was rushing back at the risk of his long-term wellbeing, and I was nervous that something else may happen and compound the issue. Well, something did happen on Monday night, and it’s quite easy and fair for me to question the way things were handled this time around. After Crosby’s ugly spill into the boards, he should have immediately come off the ice. Anyone with two eyes and a brain between them could have told you that. That’s not just a “everybody wants to baby Sidney Crosby” take, either. Sub in any other player in that situation and I would have the exact same reaction. To see a guy crash full-speed into the boards in the manner that Crosby did, then struggle to swiftly get to his feet in the hazy aftermath – that should result in a concussion test every single time. Despite the NHL’s “expanded concussion protocol” and the implementation of concussion spotters who are supposed to pull guys off the ice when they exhibit signs of head trauma, nobody did anything. That begs the question: What more did they need to see? Did he have to be fully unconscious to warrant an evaluation? As it turns out, the concussion spotters weren't allowed to pull him off the ice because their guidelines suggest that going headfirst into the boards can't cause a concussion. Seriously. Uh, maybe it's just me but it seems like taking a heavy blow to the head should be a predictor of concussions, regardless of what causes the blow. 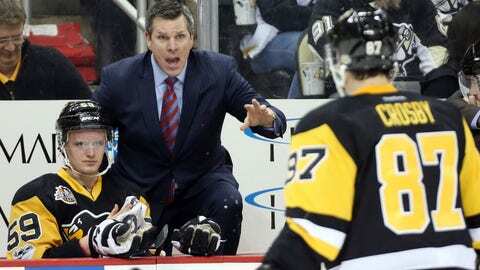 Even if the instated guidelines didn't make it mandatory, Crosby still should have been pulled. He is the Penguins’ most valuable piece, and apparently nobody on their bench saw that play and thought that maybe they should pull him off the ice for a few minutes to check him out and see if he was okay. That’s concerning. But maybe more concerning than that was the fact that, after the game, stories didn’t line up. So, yeah, that’s not great. We’re talking about a simple check-in on the brain of one of the best players in hockey, and there’s either a blatant miscommunication happening here or someone just isn’t telling the truth. Honestly, I’m not sure which would be worse.